They always say "they say” because I’m not sure anyone really knows who they are in this case. I’m talking about football coaches, particularly those that use some variation of the phrase “they say you make the most improvement between weeks one and two,” which is pretty much all football coaches. Scott Frost said it this week. Jeremy Pruitt, Gus Malzahn, Dave Doeren and Jeff Brohm, to name just a few, all either mentioned it or were asked about it this week. Bobby Bowden was fond of saying it. Son, Terry, too. “I don’t know who made that up,” Terry Bowden said before Auburn’s season opener against Ole Miss in 1995. He couldn’t even wait to get to Week 2 to roll out the old coaching chestnut. All of the uncertainties? That’s packing a lot of fact-finding into 60 minutes of football. If that’s true, I think we need to figure out who first said that –– or “made that up” –– and commission a statue in his honor for creating perhaps the most widely accepted and resonant piece of football-coaching wisdom ever uttered. And if it’s true, it’s an advantage neither Bowden nor Frost will have this week. But Colorado has that advantage as it visits Lincoln for the first time since 2010. The Buffaloes have been through the Week 1-to-2 warp zone, ramming Colorado State repeatedly last week with explosive plays in a 45-13 win in Denver. If Nebraska’s new season opener is viewed as a mostly even matchup –– and a line of the Huskers -3.5 at home indicates that the betting public, at least, does –– then maybe Colorado’s edge in football folklore has an impact. But I actually like the Huskers’ unexpected advantage in this game better. Colorado’s coaches, like the rest of us, have no idea what this version of Nebraska football looks like. But I’m still going into this game thinking that might be underselling the no-film angle a little bit, particularly as it pertains to this offense. There are many advantages to occasionally running an offense at warp-speed. Gus Malzahn lists 12 in his foundational treatise on the approach, The Hurry-Up, No-Huddle: An Offensive Philosophy, written while he was still a high school coach. One of those advantages, mentioned by Malzahn then and Walters now, is the difficulty defenses have matching personnel when an offense goes up-tempo. Look at this from Colorado’s perspective. The Buffaloes are certainly aware that they need to know where wide receivers Stanley Morgan Jr. and JD Spielman are at all times, but where will they be? Even a little bit of film from last week would’ve given the Colorado staff at least a little something to go on. And that’s for the knowns on Nebraska’s roster. What does it mean when newcomers like Greg Bell or Maurice Washington line up in the slot? How will the Huskers deploy a fleet of new wide receivers? Sean Beckton probably knows plenty about Nebraska’s tight ends at this point, but the rest of the world’s contained knowledge of the young group would have a hard time filling both sides of an index card. Colorado can know the chess board (Nebraska’s general scheme) and the pieces (roster evaluation, spring game film review), but the Buffaloes aren’t going to know much about how the Huskers’ chess master-in-chief is going to move those pieces around. Frost has shown over his still-young career that he’s an expert at creating mismatches through play calling and personnel, and I’m betting that will show up on Saturday. “It’s going to come down to who executes the best,” Walters said. It always does. Execution may be the only coaching buzzword to challenge the week 1-to-2 warp zone for universal acceptance among coaches. 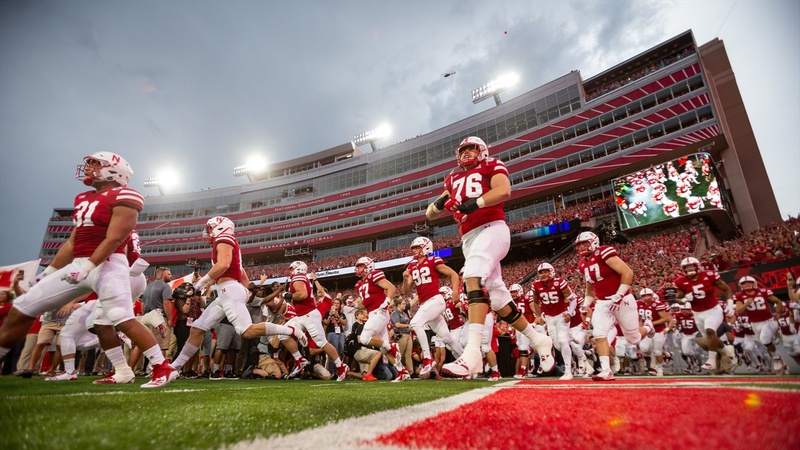 Nebraska can’t play better than it has previously until it has actually played. Nothing the Huskers can do about that. But neither team is working with a typical Week 2 experience here. The Buffaloes know a little more about themselves, but less than they would’ve expected about their next opponent. The Huskers got a dry run on a wet day at everything up and until the first play of the season, but nothing after. Which team actually has the advantage? Does it even matter if all of football is only about execution? That’s why “that’s why they play the games” is another thing they always say.